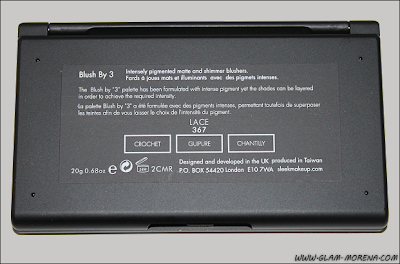 Glam Morena: Sleek Blush By 3. Last year Sleek Makeup came out with the Sleek Blush By 3 Palettes. I love the Sleek Blushes and I of course I had to get a couple of these blush palettes. 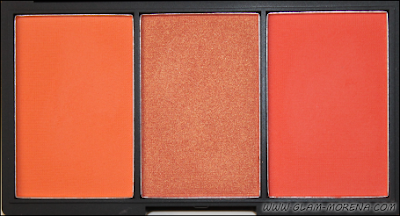 There are 5 palettes available: Flame, Lace, Pink Spirit, Pumpkin, and Sugar. I decided to get the two that did not look as similar to the blushes I already own. 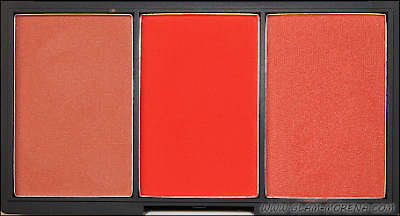 Sleek Blush By 3 Palettes in Flame and Lace. 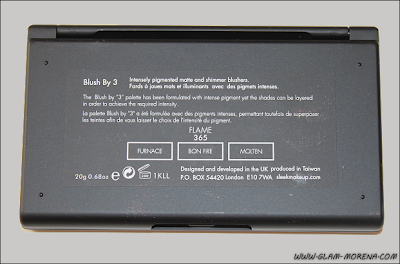 Description: The ultimate blush palette with 3 complementary shades in one mirrored compact. 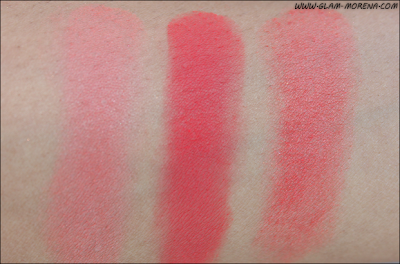 Swatches of the Sleek Blush By 3 in Flame. 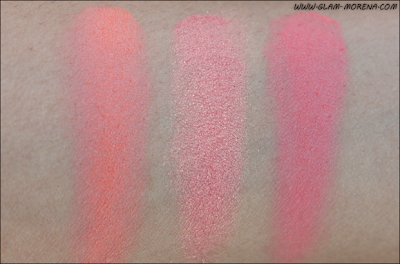 Swatches of the Sleek Blush By 3 in Lace. 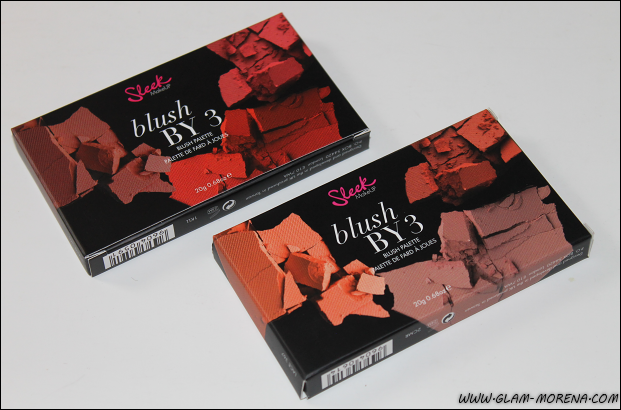 Have you tried the Sleek Blush By 3 Palettes? Favorites? Thoughts? I've wanted these Sleek blushes for a while, they all look pretty great. Especially the Lace palette! I own Sleek's Au Naturel eyeshadow palette and I love it - perfect for neutral eyes, that will pair great with these blushes! I love Sleek blushes, great colours u picked so pretty!